MIPTV: London-based producer and distributor Eagle Rock Entertainment is in Cannes this week to shop a music documentary about the work of the late soul singer Amy Winehouse. Amy Winehouse: Back to Black (1×60’) is produced by BBC Studios in association with Eagle Rock Films for Eagle Rock Entertainment and directed by Jeremy Marre. Previously, Marre worked for broadcasters including the BBC, Channel 4 and PBS’s American Masters and also wrote and produced the doc. The programme tells the story behind the conception, writing and recording of Winehouse’s album Back to Black, which won five Grammys and sold more than 12 million copies worldwide. 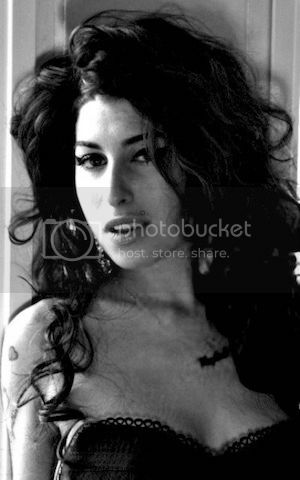 It includes contributions from Winehouse’s music producers Mark Ronson and Salaam Remi and also includes never before seen footage of the singer. Many of Marre’s films explore musical subjects and include Bob Marley: Rebel Music, James Brown: Soul Survivor, Otis Redding: Soul Ambassador and Roots Rock Reggae. Previously, Eagle Rock worked alongside a variety of artists including the Rolling Stones, Jay Z, Frank Sinatra, Madonna, James Brown and Radiohead. The company is headquartered in London, with offices in New York and Los Angeles, and is part of Universal Music Group. I'm looking forward to this ! I hope we get new music too or something . Thanks for sharing! Anyone know when this is expected to be released, cant find anything anywhere else. We probably won't hear much until they're done shopping the documentary around at Cannes. The Film Festival, which runs during the second week of May, announced their competition lineup a few days ago and the documentary wasn't listed on it. But the good thing is, that they're still adding entries. Eagle Rock Entertainment is a subsidiary of Universal Music, and with them putting this project together with BBC Studios, I have a gut feeling that this is going to be a really good piece of work, especially if they use archived media from both places. Thank you, I hope it is good. Fingers crossed 😍😍😍😍 i wonder what the new footage will be !!! This should be an interesting documentary. I hope we hear more demos and maybe outtakes. So is this going to netflix or would I just have to buy it? Doesn't say anything on the website, we'll probably find out closer to it being released. Series looking at the creation of some classic rock albums looks at Amy Winehouse's second album Back To Black from 2006 and how it transformed the beehived girl from north London into a global star, with hits like Rehab, the title track and Love Is A Losing Game. Back To Black helped launch a wave of soul-influenced British chanteuses including Adele and Duffy and has since sold over 20 million copies. This film reveals Amy Winehouse the artist, focusing firmly on her lyrics, influences and vocal talents. Using unseen footage from the Miami and New York sessions and rarely seen archive of Amy in interview and performance, producers Mark Ronson and Salaam Remi and their respective musicians shine a light into the making of Back To Black and offer their firsthand accounts of Amy's genius and her emotional turmoil. Featuring producers Mark Ronson and Salaam Remi, the Dap-Kings band, Amy's colleagues and friends, Island president and A&R director Darcus Beese and Ronnie Spector. Also, it does look and sound like two different projects? The one airing today is Amy's Legacy, whereas the other is Back to Black? The documentary was great, got to hear early demos of Me and Mr Jones, Just Friends and Some Unholy War. All sounded so different - much more hip-hop/jazz, made before she started working with Mark and developed the girl group sound. Also, did Salaam say Just Friends was originally called "I've Been Drinking"?